I start to connect the dots around 2:00 a.m. But it all actually begins early that day. The first clue shows up without any recognition on my part that morning. A fellow real estate investor, a fan of my writing, hands me a book before a networking meeting begins. She proclaims that I could be making a lot of money through my writing and that this book will blow me away. The next clue shows up that evening when I clean my bedroom closet and find a file full of intuitive readings from the past few years. I glance at it and put it back on the shelf. 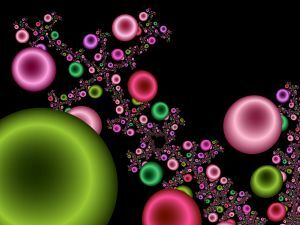 The third clue, which forces me to see a pattern of dots to connect, happens when my guides wake me up from a sound sleep, literally and figuratively, leading me back to the bedroom closet to the file of readings. Allow me to lay some down some context. A blog post has been forming in my head for the past two days. It's mid-evening and I plan to devote some time to begin writing this. I fall into a typical pattern of procrastination. The blog post idea feels too "personal." I tell myself that I really can't capture my feelings well enough in this post. My inner critic refuses to pass muster on this topic. The only way to best thine enemy is to know thine enemy. I sit here in dismay at all the dull and unimaginative ways I thwart my creative inner being. Time and time again the enemy of "reason" stops me from the act of writing, with the same worn-out, trite injunctions that appear as common sense and logic. Well, my creative side hereby calls for a duel. I raise my saber (pen that is) and "out" you once and for all. I see your fiendish ways and vow to cut you off at the pass. I hereby expose you and your blasphemy! Blasphemy #1 You Must Be Brilliant! I have to admit that this is one of your better injunctions. When you are able to hook my ego, I'm sunk. Especially when you compare me to prodigious writers, and bloggers with creative ideas and slants. Then I feel blocked, my feverish search for inspiration dries up, and I stop. Yet, I learn that it is better to write, and to write badly, than not to write out all. 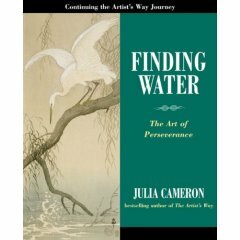 Author Julia Cameron, in Finding Water, says: "Very often our 'bad' writing contains the seeds of our 'good' writing within it." She encourages us to give up our self-consciousness. In my better moments I know that when I show up and write, the Universe supplies the quality to open conduits. Blasphemy #2 Work Comes Before Play! I came into this world as a first-born, responsible female, crossing her t's and dotting her i's. And how you, conniving devil, have used that against me. I wake up this Saturday morning, happy to greet the day, happy to free myself from the routines of the weekdays. And yet, before I get out of bed, you take over, programming me with an extensive list of to do's. Have to's, not want to's. Over 20 items you declare on that list. You almost had me convinced I couldn't afford to take creative time this morning to write. You almost had me. Until my inner writer slammed her foot down. And here's what she and I know. It's okay to eat dessert first. It's especially okay to play first. "Have to's" serve their purpose - and provide a way for me to do more of my "want to's." When I start to feel cranky and out of sorts I know it's because I haven't been writing. So here's the deal, you clueless taskmaster. When you attempt to lance me with your strident "shoulds," I will write them down on paper. I refuse to carry them around in my head, scattering my energy. Armed with my intuition and physical signals, I decide how to schedule in my have to's with my want to's so that I feel good, dammit. Blasphemy # 3 Be Careful What You Write About! I'm writing this on a computer, which has been tucked discreetly in a corner antique desk. My husband and I have escaped for the weekend in an opulent Victorian Bed & Breakfast in Asheville, NC (the kind you can only afford after you become an empty nester). As the sun goes down, shadows of light dance off the gilt framed oil paintings hanging on the walls. Daylight lingers in that twilight period where life begins to quiet down. While hubby relaxes on the sofa in front of a fire, with TV remote in hand, I can't resist the call to write. But why now? Why blog when I'm on a getaway weekend? I could say that just being in Asheville restores my spirit and opens up my soul. My inner being feels at home here. My senses feel alive. Against this beautiful backdrop, my creative self yearns to have a say. And honestly, I don't recall ever writing in such a sinfully elegant place before. Forgive my preamble, unnecessary in the strictest sense. It allows me to enjoy capturing this moment in time. What I must share with you - an excerpt from Julia Cameron's newest book, Floor Sample. As I always find with Julia's writing - her words ripple across my senses before landing smack in my soul. Maybe her words will lead you to understand why you write. Enjoy. Never forget that writers are prophets. We are for each other a believing mirror. Our words make us visible. Our listening makes us heard. Never forget that writers are soldiers. Each word is a drum. Reaching one another and ourselves. Every poem is a day's march. A celebration more necessary than water or wine. Every poem is a drink of blood. Not on the days when it is simple and we discount it. Not on the days when it is hard and we write like sand. Every syllable is a grace. I'll end on this distinction: I don't "blog." I write. And sometimes I use the blog medium to write. Why do you write?